Remade from Disney’s stunning 1950 animation spectacle, Cinderella retells a long standing story – some would argue unnecessarily – into a lavish tale of live action romance. It’s expensive. 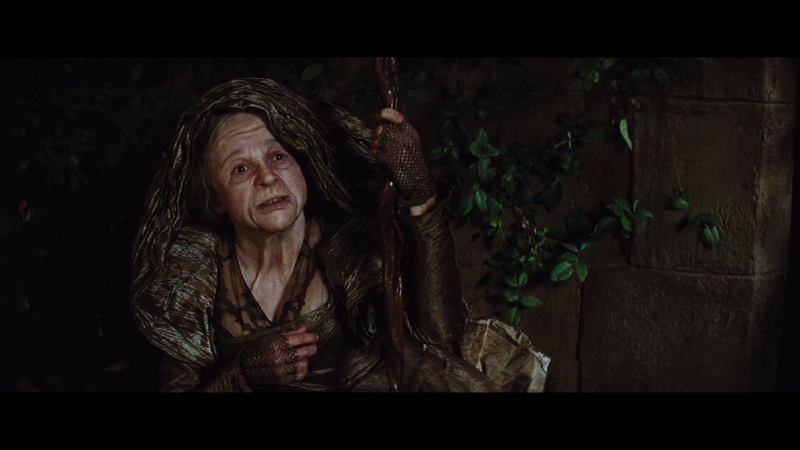 The costumes, set work, and style are meticulous. It’s also beautiful but not inherently redundant. Screenplay work is smart. Disney’s streak of live action fairy tale adaptations can be branded as feminine super hero stories, where women use their internal resolve and might to thwart whatever the evil may be. Heroines are capable of battle without weapons or powers, only their instincts. 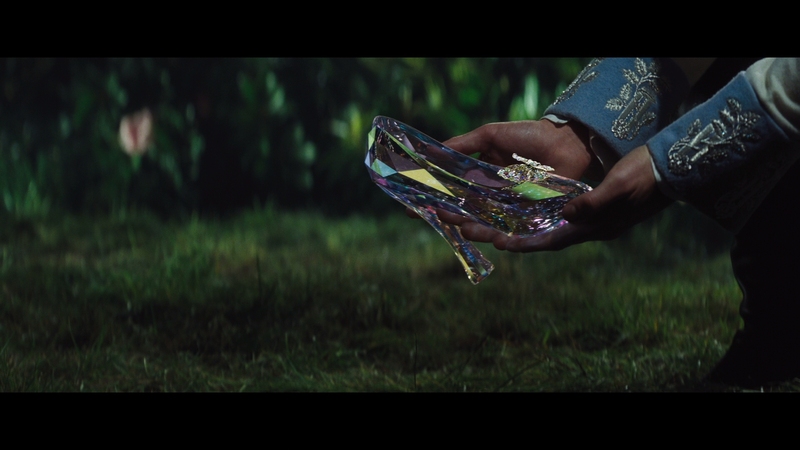 Cinderella works even as the story may be derided for the “marry rich” subtext. This edition tweaks and lessens controlling dialog: “… if she wishes to marry the Prince,” instead of “will marry.” The touch is a clever modernization. 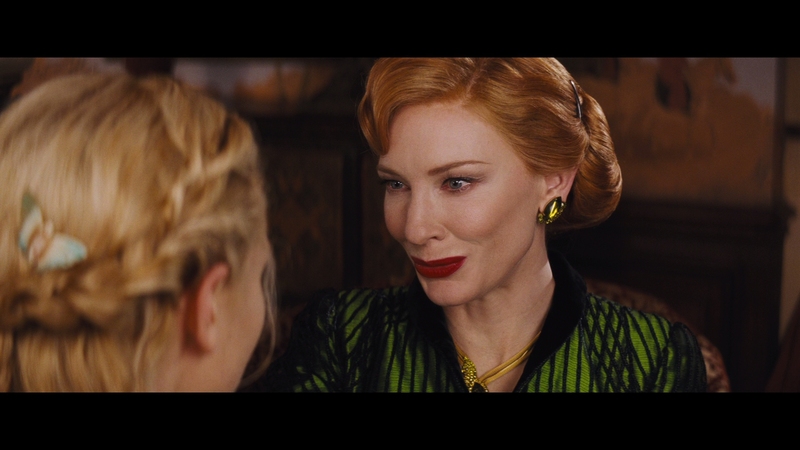 So too is the evil Stepmother contemporary, gifted with a fearsome gaze courtesy of Cate Blanchett, off-set by the blabbering of those color coordinated step sisters (Sophia McShera, Holliday Grainger). Their tawdry tastes and desperation to keep a fanciful, lush lifestyle incites a look at the effects of privilege and entitlement. They’re classless imbeciles. 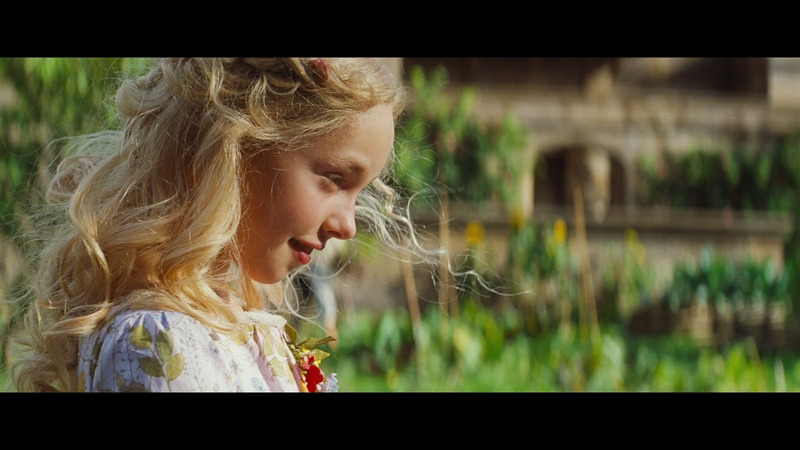 The softness of Lily James’ performance in the lead role feels proper, flushed with smiles and color. 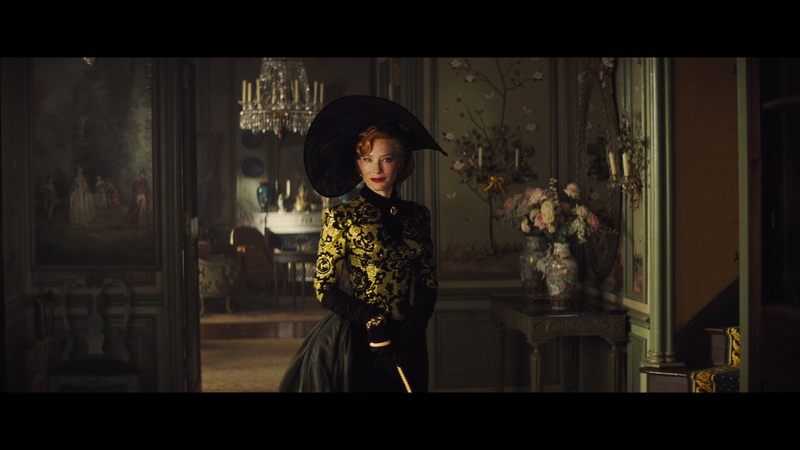 Contrast with her Stepmother (outside of obvious and deliberate costuming decisions) is wonderful. James takes the character and adds her own take, as limited as it can be due to familiarity with the source. Bringing the fairy tale into live action requires a splash of realism even in this context, yet the feature has fun with the placement. Cinderella is glossy. 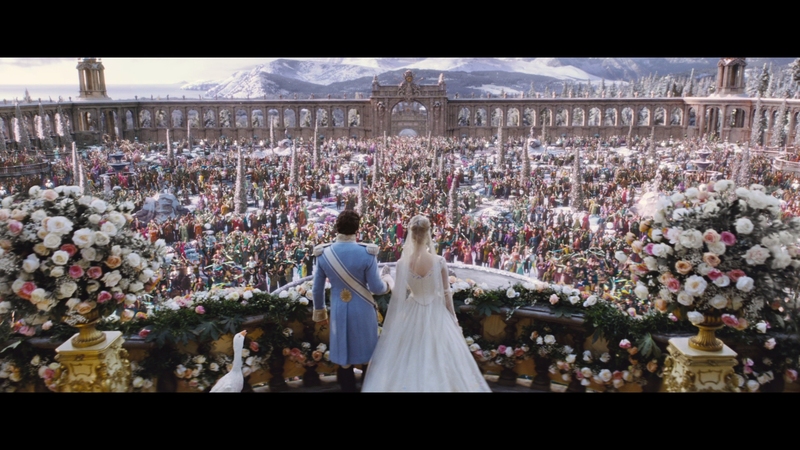 Money is not only showcased in costumes and production design but also effects. The pumpkin carriage transforms at a leisurely pace, requiring make-up, digital transformations, and frantic editing. To call this sequence overdone as opposed to the concept of a live action remake in general is arguably dubious. Most of the film is oversold, if expressive. 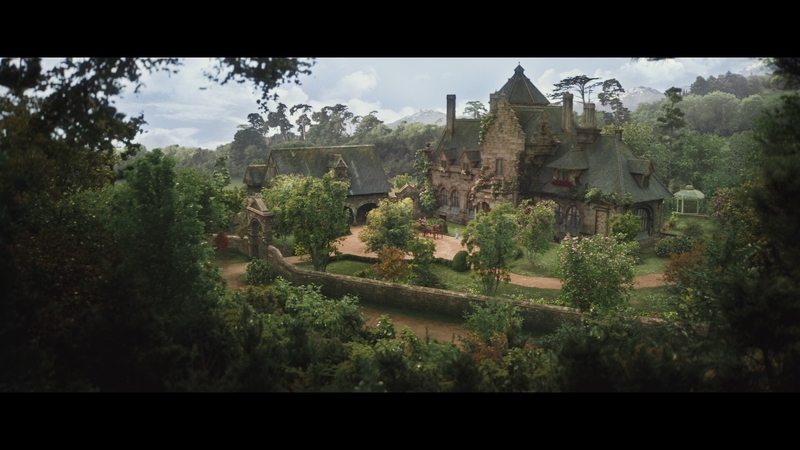 Bringing the fairy tale into live action requires a splash of realism even in this context, yet the feature has fun with the mystical placement. Disney Princesses – in costumes at least – show up to the ball and an Easter egg in Mickey Mouse ears poke into the frame. Tragedy is still common. There is a tremendous level of “fairy tale death” here – scenes where people are in beds, covered to their chests with blankets, and speaking in raspy voices if appearing otherwise healthy. 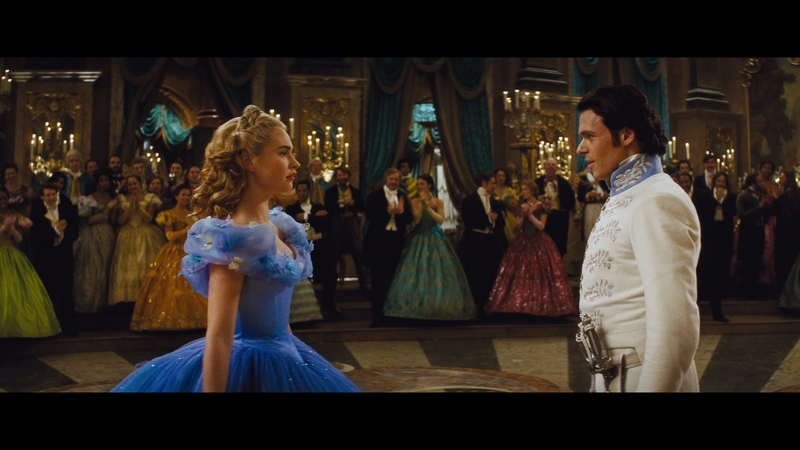 Lighter fare, in conjunction with Lily James’ flair, bring Cinderella the necessary tonality. 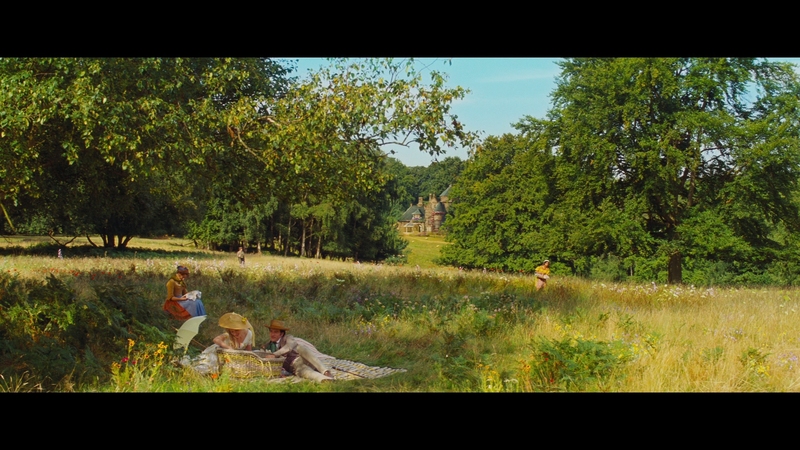 Gorgeous film-based cinematography highlights this disc, flushing it with detail and sharpness. 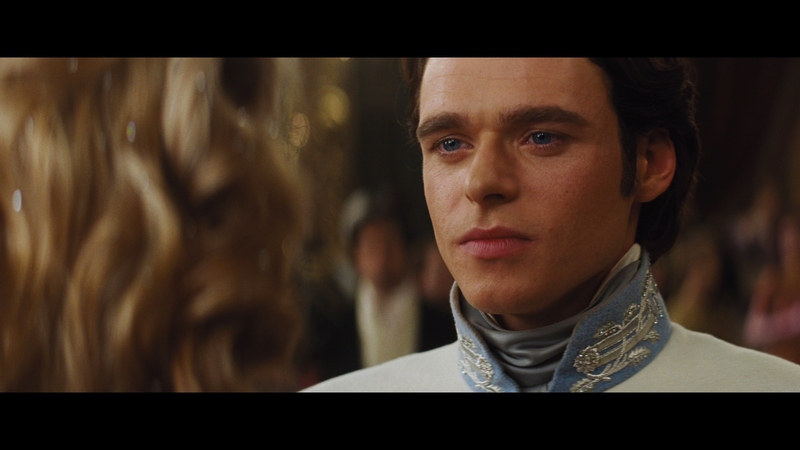 Cinematography is fond of brilliant lighting and dazzling contrast. The weight of images presented is intense. Black levels only assist further. Facial definition is vivid, but it’s Cinderella’s costuming work which is highlighted. Individual stitches are everywhere. Decorations and different types of materials are displayed in full. Grain is resolved with impressive bitrates, leaving images clear of any digital debris. Disney continues to pay heed to the format’s highest end technicals. In addition to specialty catalog distributors, Disney is among the few elite who work only in the peak of Blu-ray’s ability. 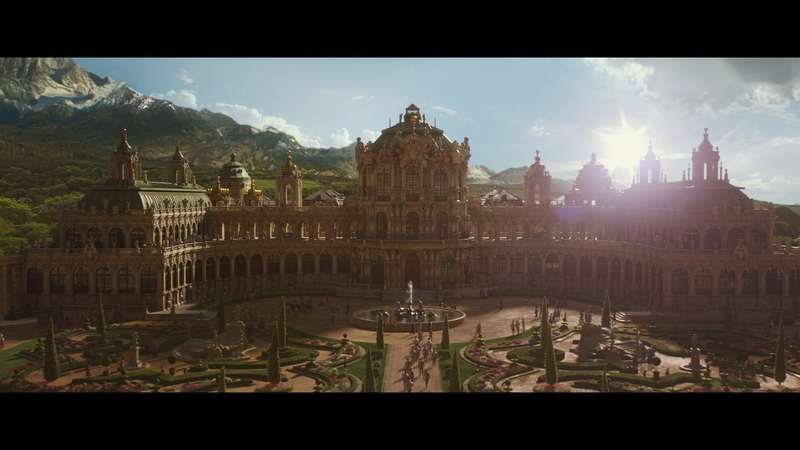 Cinderella powers through, spreading images of castles and slightly hazy exteriors to insinuate their dream-esque nature. Color grading is all saturation, leaving flesh tones appealing while bumping up the surroundings. 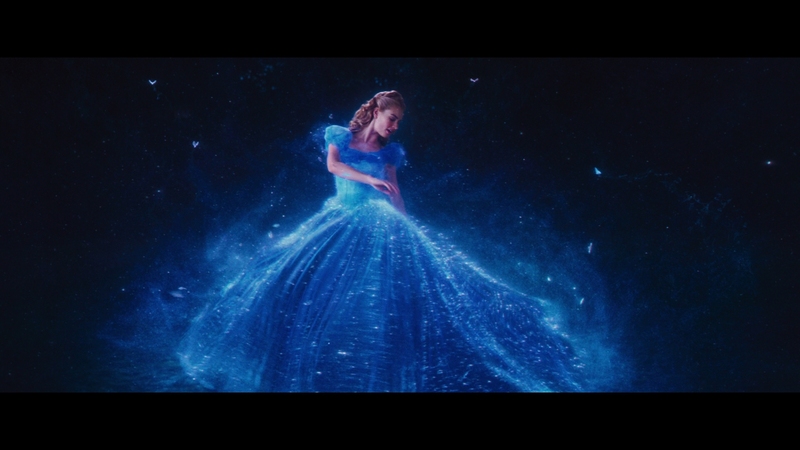 Even into narrative function, Cinderella brandishes its color, highlighting Cinderella’s vividly blue dress during the ball while toning down the other gowns. The available resolution displays crowds – both at the ball or during other gatherings – with premiere delineation. No distance is too far for this disc. Fidelity is marvelous. 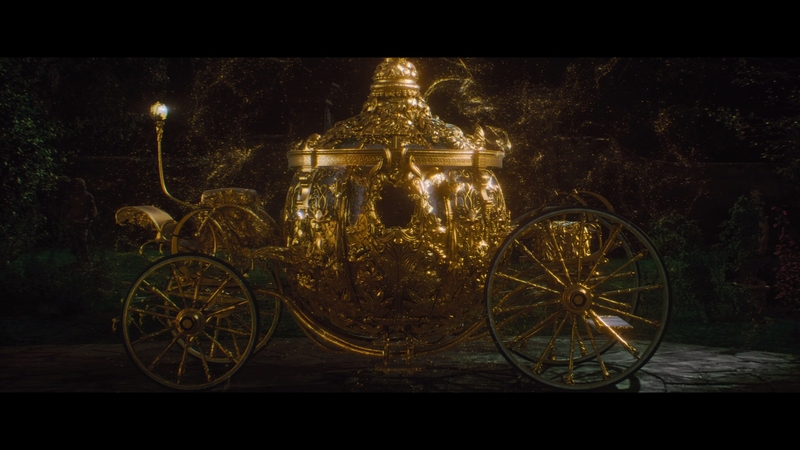 DTS-HD 7.1 is the selection, brought to life during the carriage transformation. A pumpkin grows and rolls toward the screen, thudding in the low-end and panning overhead. The added surrounds are not ignored. Horses pan across the soundstage with precise imaging. Toward the castle, fireworks create additional spacing. Elsewhere, audio separation is restrained. Front channels take most of the work, tracking voices and other elements off-screen. An occasional moment may capture a voice in a rear speaker, but this is an oddity. Ambiance is a touch lower than expected given the fanciful nature – birds should be singing throughout this quaint kingdom. 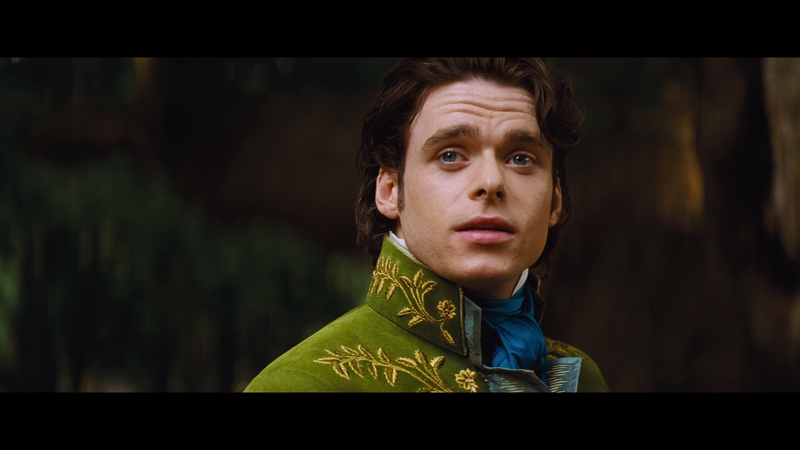 Cinderella was cut for time, but the deleted scenes will not be found here, only on Disney’s digital version. This is likely a sign of the inevitable. What’s left is mediocre by bonus standards, opening with a nine-minute promo, A Fairy Tale Comes to Life. Skip it. Costume Test Fun is a series of bloopers set to music. Staging the Ball stands as the best piece, peering into the enormity of this sequence and the work involved. An alternate opening is more an extension on what was in the finished work. Ella’s Furry Friends details animal training, including the mice which was odd since they were digital. A brief short based on Frozen is probably a selling point for much of the audience.